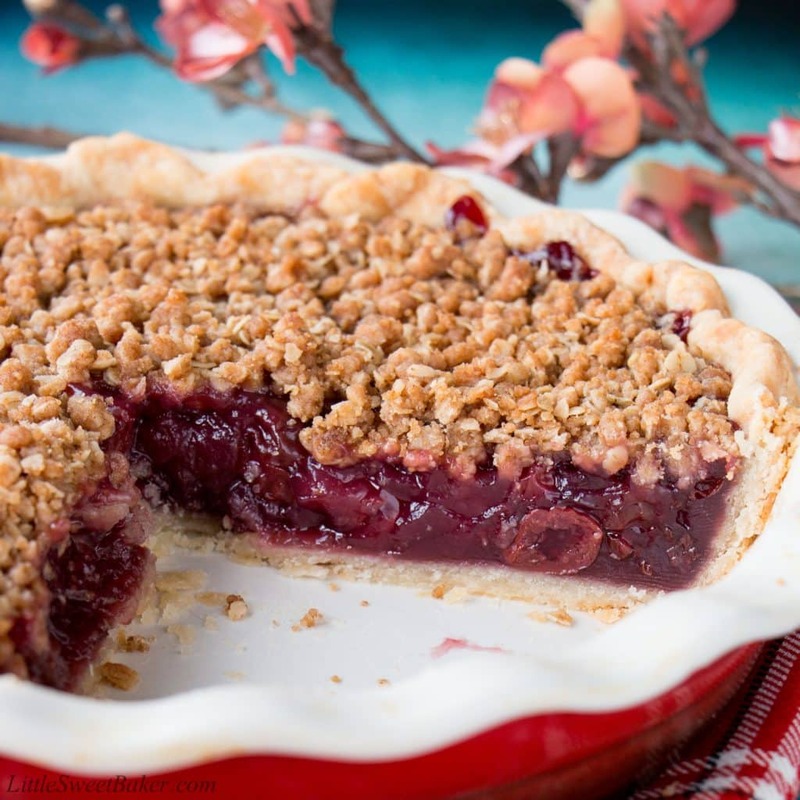 Enjoy this fabulous cherry pie all year round by using fresh, frozen or even jarred cherries with this easy and adaptable recipe. 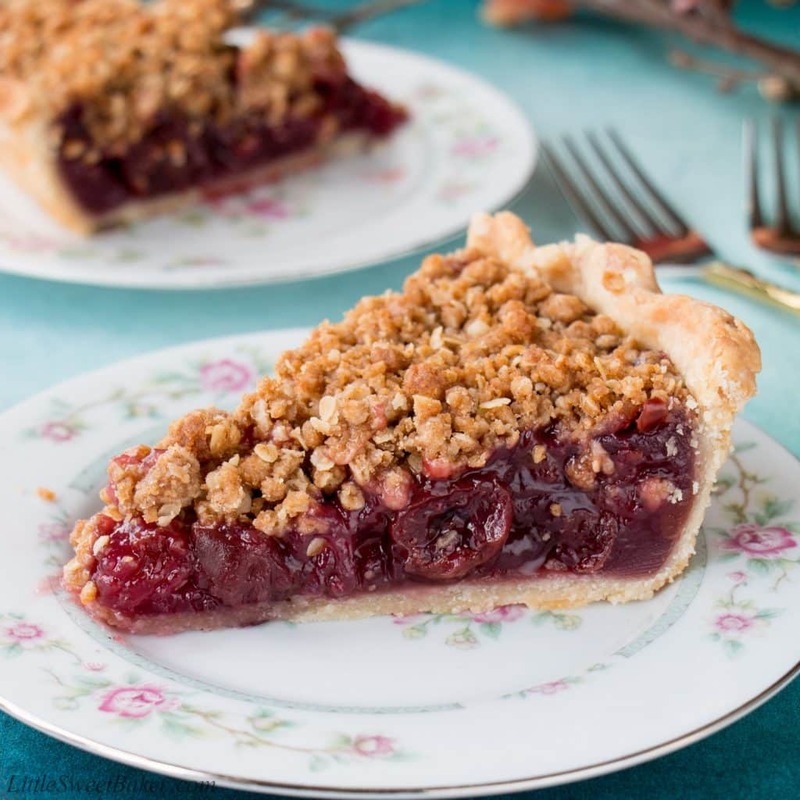 It’s the best homemade cherry pie filling topped with a buttery brown sugar crumble and wrapped in a flaky pie crust. There is a local farm market and bakery near my house that makes the best savory and sweet pies. During the holidays they have people lined up around their building waiting to purchase their pies. 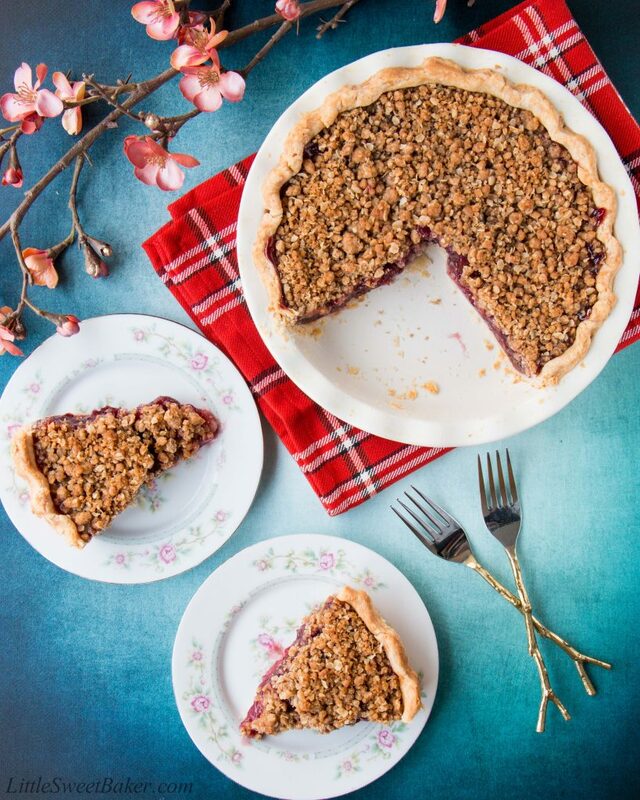 I recently had their sour cherry crumble pie and oh my goodness – best thing on earth! And I’ve been craving cherry pie since. Obviously it’s not cherry season anymore, but even when it is, it’s a pretty short season and sour cherries are hard to come by. I’ve never actually been able to get my hands on fresh sour cherries. Maybe I’ve been looking in all the wrong places. 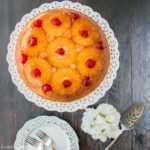 Now jarred sour cherries, I can get my hands on, so that’s what I used in this recipe. I simply cooked up a whole jar of cherries, syrup and all, with some sugar and cornstarch to get a nice thick jam-like cherry filling. I added some vanilla and a touch of almond extract for flavor. Then I prepared a quick crumb topping made with rolled oats, flour, brown sugar, cinnamon and melted butter. Then I prepared my 4-ingredient flaky pie crust. I assembled all my pieces together, baked it for 45 minutes and voila, the most beautiful and delicious cherry pie. Made from scratch and a whole lot of love. 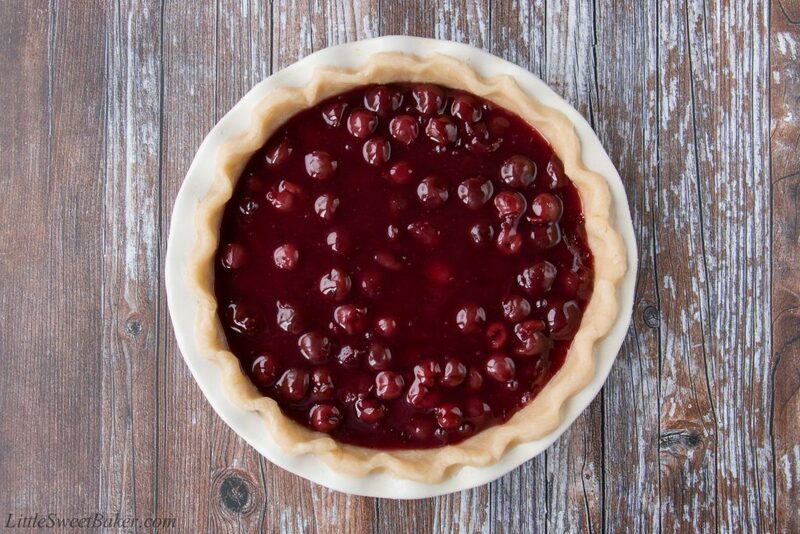 This cherry pie is loaded with chunks of juicy tart cherries in a thick sweet jam filling. 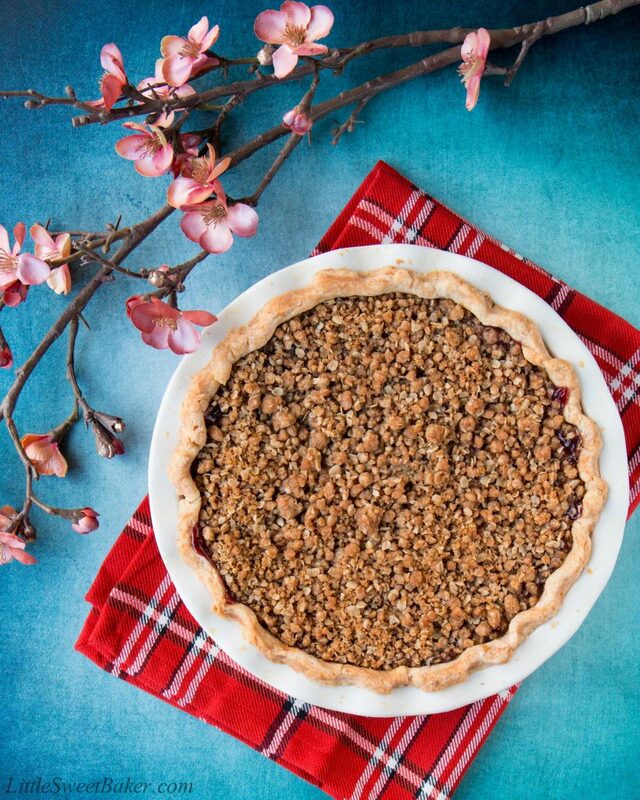 It’s topped with a crunchy, buttery and nutty rolled oat streusel. The pie crust is flaky and tender. 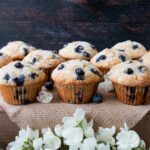 The taste is fruity and tart with just the right amount of sweetness. 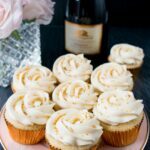 It has floral notes of almond and vanilla with warm hints of cinnamon and brown sugar. 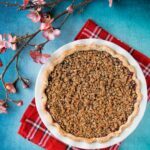 This is the best homemade cherry pie filling topped with a buttery brown sugar crumble and wrapped in a flaky pie crust. Drain the syrup from the jar of cherries into a medium saucepan. Whisk in the cornstarch and sugar. On the stovetop over medium-high heat, bring to a simmer, whisking constantly until the mixture thickens. Add in the cherries and continue to cook until the filling thickens again. Remove from heat and stir in the vanilla and almond extract. 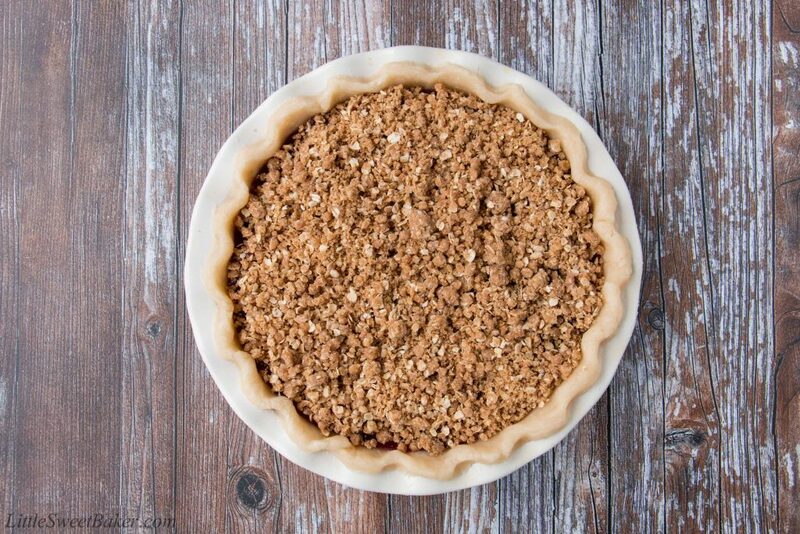 Set aside to cool while preparing the crumble and pie crust. In a medium bowl, mix together the rolled oats, flour, brown sugar and cinnamon (breaking apart any clumps of brown sugar). Add in the melted butter and mix again until everything is moistened. Set aside. Pour the pie filling into the pie crust and sprinkle the crumb topping evenly on top. Bake for 15 minutes at 425F, then turn down the heat to 375F and continue to bake for another 30 minutes. Loosely cover with foil during the last 15 minutes to prevent the edges of the crust from over browning. Place cherries and water in a medium saucepan and place over medium heat. Cover. After the cherries lose considerable juice, which may take a few minutes, remove from heat. In a small bowl, mix the sugar and cornstarch together. Pour this mixture into the hot cherries and mix well. Return the mixture to the stove and cook over low heat until thickened, stirring frequently. Remove from heat and stir in the vanilla and almond extract. Set aside to cool while preparing the rest of the pie.